More about Tea Palace today. This Notting Hill blend is their tea that had me all excited and I'm glad to finally try it! As soon as you take the lid off this little tin, you're hit with a mouth-watering caramel scent that makes you want to dive in like it's chocolate rather than tea! 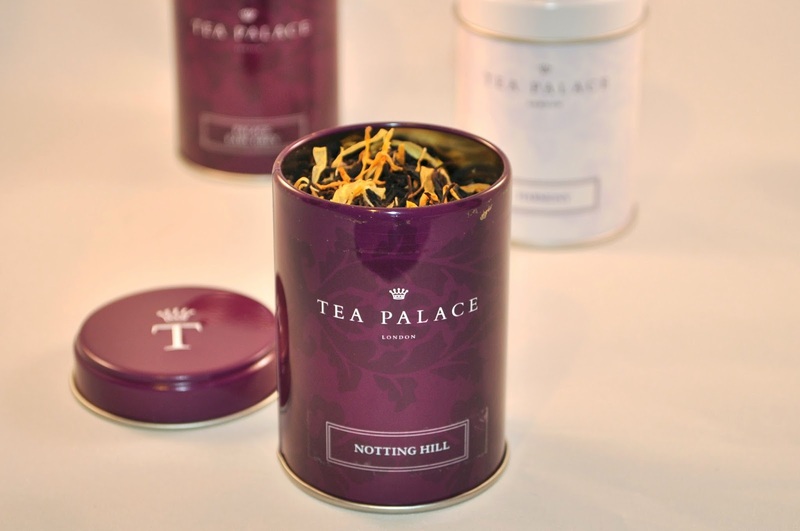 Tea Palace's 'Notting Hill' tea is their exclusive tea blend created to celebrate their first home in London. 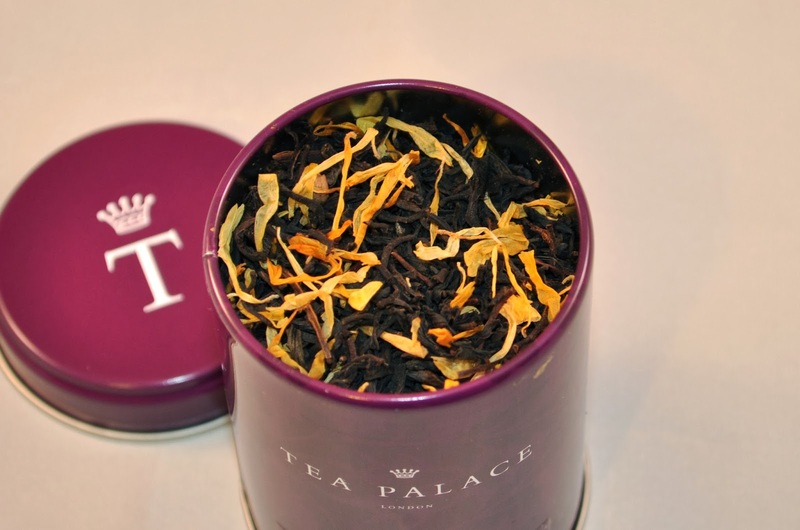 They say it's made with the finest single estate black teas enriched with real pieces of organic Bourbon Vanilla from Madagascar and flashes of gold Marigold petals. Their website says "It is a refined aromatic blend with a hint of sweet vanilla." Once brewed I found there to be a smokey-wood aroma with the sweet scent of vanilla. The tea infuses into a deep honey colour and once you taste it you're reminded that there's a black tea in this vanilla goodness that's smooth and light like Darjeeling. I think there's also a tangy taste to it somehow! For my milky tea readers, I decided to try it with whole milk as well so I could compare the two ways of preparing this tea. I'm glad I did as the milk really changes this tea and brings the vanilla scent out even stronger. It smells like rice pudding actually! I felt it had a sweet taste almost like honey although I've tested it on some family who felt it tasted 'too much like normal tea' with the milk after they enjoyed how unique it was without. Overall I'd say you should try this tea if only to sit smelling it like smelling salts! I'd say it rivals my other favourite tea scent, which is equalitea's lady yang gufei! However, I did struggle to get the infusion right for me and found I either made it too strong or too weak for my taste. I was probably trying to get the taste to match the scent! I'm so pleased to have come across the Tea Palace teas and have really enjoyed experimenting thus far. I have a nice Earl Grey to try next! Just what I think I need at the moment, yum!